Almaliti J, Miller B, Pietraszkiewicz H, Glukhov E, Naman CB, Kline T, Hanson J, Li X, Zhou S, Valeriote FA, Gerwick WH (2019) Exploration of the carmaphycins as payloads in antibody drug conjugate anticancer agents. European journal of medicinal chemistry, 161, pp.416-432. Click here for Abstract. Behm, J. E., van Buurt, G., DiMarco, B. M., Ellers, J., Irian, C. G., Langhans, K. E., … & Helmus, M. R. (2019). First records of the mourning gecko (Lepidodactyluslugubris Duméril & Bibron, 1836), common house gecko (Hemidactylus frenatus in Duméril, 1836), and Tokay gecko (Gekkogecko Linnaeus, 1758) on Curaçao, Dutch Antilles, and remarks on their Caribbean distributions. BioInvasions Records, 8(1), 34-44. Click here for pdf. Cortés J, Ogden JC, Oxenford HA, van Tussenbroek BI, Jordán-Dahlgren E, Cróquer A, Bastidas C. (2018). The CARICOMP Network of Caribbean Marine Laboratories (1985-2007): History, Key Findings and Lessons Learned. Frontiers in Marine Science, 5, 519. Click here for pdf. Dornburg, A., Lamb, A. D., Warren, D., Watkins-Colwell, G. J., Lewbart, G. A., & Flowers, J. (2019). Are Geckos Paratenic Hosts for Caribbean Island Acanthocephalans? Evidence from Gonatodes antillensis and a Global Review of Squamate Reptiles Acting as Transport Hosts. Bulletin of the Peabody Museum of Natural History, 60(1), 55-79. Click here for pdf. Hartmann AC, Marhaver KL, Klueter A, Lovci M, Closek CJ, Diaz E, Chamberland VF, Archer FI, Deheyn DD, Vermeij MJA, Medina M (2019) Acquisition of obligate mutualist symbionts during the larval stage is not beneficial for a coral host. Molecular ecology. Click here for pdf. Hoeksema BW, Wels D, van der Schoot, RJ, Ten Hove HA (2019) Coral injuries caused by Spirobranchus opercula with and without epibiotic turf algae at Curaçao. Marine Biology, 166(5), 60. Click here for pdf. Klinger C, Żółtowska-Aksamitowska S, Wysokowski M, Tsurkan MV, Galli R, Petrenko I, Machałowski T, Ereskovsky A, Martinović R, Muzychka L, Smolii OB (2019). Express Method for Isolation of Ready-to-Use 3D Chitin Scaffolds from Aplysina archeri (Aplysineidae: Verongiida) Demosponge. Marine drugs 17(2):131. Click here for pdf. Kwong, W. K., del Campo, J., Mathur, V., Vermeij, M. J., & Keeling, P. J. (2019). A widespread coral-infecting apicomplexan with chlorophyll biosynthesis genes. Nature, 568(7750), 103. Click here for pdf. brooded coral larvae entirely in situ. Ecological Engineering 132: 115-119. Click here for Abstract. Sully, S., Burkepile, D. E., Donovan, M. K., Hodgson, G., & van Woesik, R. (2019). A global analysis of coral bleaching over the past two decades. Nature communications, 10(1), 1264. Click here for pdf. Wittman KJ, Wirtz P (2019) Revision of the amphiamerican genus Mysidium Dana, 1852 (Crustacea: Mysida: Mysidae), with descriptions of two new species and the establishment of two new subgenera. European Journal of Taxonomy, (495). Click here for abstract. Behm JE, van Buurt G, DiMarco BM, Ellers J, Irian CG, Langhans KE, McGrath K, Tran TJ, Helmus MR. First records of the mourning gecko (Lepidodactylus lugubris Duméril and Bibron, 1836), common house gecko (Hemidactylus frenatus in Duméril, 1836), and Tokay gecko (Gekko gecko Linnaeus, 1758) on Curaçao, Dutch Antilles, and remarks on their Caribbean distributions. Click here for pdf. Benzoni F, Arrigoni R, Berumen Ml, Taviani M, Bongaerts P, Frade PR (2018) Morphological and genetic divergence between Mediterranean and Caribbean populations of Madracis pharensis (Heller 1868)(Scleractinia, Pocilloporidae): too much for one species?. Zootaxa 4471(3):473-92. Click here for abstract. Boyko CB, van Der Meij SE (2018) A trifecta of Swiftian symbioses: stony corals, gall crabs and their parasites (Scleractinia; Brachyura: Cryptochiridae; Isopoda: Epicaridea and Cirripedia: Rhizocephala). Zoological Journal of the Linnean Society. Mar 14. Click here for pdf. Brocke HJ, Piltz B, Herz N, Abed RMM, Palinska KA, John U, den Haan J, Nugues MM (2018) Nitrogen fixation and diversity of benthic cyanobacterial mats on coral reefs in Curaçao. Coral Reefs: 1-14. Coral Reefs (2018). https://doi.org/10.1007/s00338-018-1713-y Click here for pdf. Caves EM, Green PA, Johnsen S (2018) Mutual visual signalling between the cleaner shrimp Ancylomenes pedersoni and its client fish. Proc. R. Soc. B. 2018 Jun 27;285(1881):20180800. Click here for pdf. Condor-Lujan B, Louzada T, Hajdu E, Klautau M. 2018. Morphological and molecular taxonomy of calcareous sponges (Porifera: Calcarea) from Curaçao, Caribbean Sea. Zoological Journal of the Linnean Society. Click here for Abstract. de Bakker DM, Webb AE, van den Bogaart LA, van Heuven SM, Meesters EH, van Duyl FC (2018) Quantification of chemical and mechanical bioerosion rates of six Caribbean excavating sponge species found on the coral reefs of Curaçao. PloS one;13(5):e0197824. Click here for pdf. Engelen AH, Aires T, Vermeij MJA, Herndl GJ, Serrao EA, Frade PR (2018). Host differentiation and compartmentalization of microbial communities in the azooxanthelate cupcorals Tubastrea coccinea and Rhizopsammia goesi in the Caribbean. Frontiers in Marine Science, 5, 391. Click here for pdf. Fricke, A, Titlyanova TV, Teichberg M, Nugues MM, Bischof K. 2018). The Chlorophytes of Curaçao (Caribbean): a revised checklist for the south-west coast. Botanica Marina, 61(1), 33-46. Click here for Abstract. García-Hernández JE (2018) Antagonistic behavior between two honeycomb cowfish, Acanthostracion polygonius Poey, 1876, at Curaçao. Coral reefs 1:1. Click here for pdf. Hartmann AC, Marhaver KL, Vermeij MJA (2018) Corals in healthy populations produce more larvae per unit cover. Conservation Letters. 2018 May;11(3):e12410. Click here for pdf. Horká I, De Grave S, Fransen CHJM, Petrusek A, Duris Z (2018) Multiple origins and strong phenotypic convergence in fish-cleaning palaemonid shrimp lineages. Molecular phylogenetics and evolution. Click here for Abstract. Kenny NJ, de Goeij JM, de Bakker DM, Whalen CG, Berezikov E, Riesgo A (2018) Towards the identification of ancestrally shared regenerative mechanisms across the Metazoa: A Transcriptomic case study in the Demosponge Halisarca caerulea. Marine genomics. 2018 Feb 1;37:135-47. Click here for pdf. Ritger AL, Curtis AN, Chen CY (2018) Bioaccumulation of mercury and other metal contaminants in invasive lionfish (Pterois volitans/miles) from Curaçao. Marine Pollution Bulletin, Volume 131, Part A: 38-44. Ruttenberg B, Caselle JE, Estep AJ, Johnson AE, Marhaver KL, Richter LJ, Sandin SA, Vermeij MJA, Smith JE, Grenda D, Cannon A (2018) Ecological assessment of the marine ecosystems of Barbuda, West Indies: Using rapid scientific assessment to inform ocean zoning and fisheries management. PLoS ONE 13(1): e0189355. Click here for pdf. Silveira CB, Roach TN, Villela H, Barno A, Reyes B, Rubio-Portillo E, Le T, Mead S, Hatay M, Luque A, Wegley-Kelly L. Biophysical and physiological causes of coral reef microbialization. bioRxiv. 2018 Jan 1:495481. Click here for pdf. Titus BM, Blischak PD, Daly M (2018). Genomic signatures of sympatric speciation with historical and contemporary gene flow in a tropical anthozoan. bioRxiv, 399360. Click here for pdf. Titus BM, Daly M. Reduced representation sequencing for symbiotic anthozoans: are reference genomes necessary to eliminate endosymbiont contamination and make robust phylogeographic inference?. bioRxiv. 2018 Jan 1:440289. Click here for pdf. van Dijk KJ, Bricker E, van Tussenbroek BI, Waycott M (2018) Range‐wide population genetic structure of the Caribbean marine angiosperm Thalassia testudinum. Ecol Evol. 2018;00:1–14. Click for pdf. Votýpka J, Kment P, Kriegová E, Vermeij MJA, Keeling PJ, Yurchenko V, Lukeš J (2018) High Prevalence and Endemism of Trypanosomatids on a Small Caribbean Island. Journal of Eukaryotic Microbiology. Click here for pdf. Böhm T, Hoeksema BW. Habitat selection of the coral-dwelling spinyhead blenny, Acanthemblemaria spinosa, at Curaçao, Dutch Caribbean. Marine Biodiversity. 2017 Mar 1;47(1):17-25. Click here for abstract. Chamberland VF, Latijnhouwers KR, Huisman J, Hartmann AC, Vermeij MJA. Costs and benefits of maternally inherited algal symbionts in coral larvae. InProc. R. Soc. B 2017 Jun 28 (Vol. 284, No. 1857, p. 20170852). The Royal Society. Click here for pdf. Chamberland VF, Petersen D, Guest JR, Petersen U, Brittsan M, Vermeij MJA (2017) New seeding approach reduces costs and time to outplant sexually propagated corals for reef restoration. Scientific reports 7(1):18076. Click here for pdf. García-Hernández JE, Hoeksema BW. Sponges as secondary hosts for Christmas tree worms at Curaçao. Coral Reefs.:1-. Hartmann AC, Petras D, Quinn RA, Protsyuk I, Archer FI, Ransome E, Williams GJ, Bailey BA, Vermeij MJA, Alexandrov T, Dorrestein PC (2017) Meta-mass shift chemical profiling of metabolomes from coral reefs. Proceedings of the National Academy of Sciences. 2017 Oct 12:201710248. Click here for pdf. Hoeksema BW, Bongaerts P, Baldwin CC (2017 ) High coral cover at lower mesophotic depths: a dense Agaricia community at the leeward side of Curaçao, Dutch Caribbean. Marine Biodiversity 47(1):67-70. Hoeksema BW, Harry A (2017) The invasive sun coral Tubastraea coccinea hosting a native Christmas tree worm at Curaçao, Dutch Caribbean. Marine Biodiversity 47(1):59-65. Hovestadt A, van Leeuwen S (2017) Terrestrial molluscs of Aruba, Bonaire and Curaçao in the Dutch Caribbean: an updated checklist and guide to identification. Vita Malacologica 16: 1-39. Click here for Abstract. Kenny NJ, de Goeij JM, de Bakker DM, Whalen CG, Berezikov E, Riesgo A. Ancestrally Shared Regenerative Mechanisms Across the Metazoa: A Transcriptomic Case Study in the Demosponge Halisarca caerulea. Marine Genomics 37: 135-147. Click here for a pdf. Lamb, A.D., Watkins-Colwell, G.J., Moore, J.A., Warren, D.L., Iglesias, T.L., Brandley, M.C. and Dornburg, A., 2017. Endolymphatic Sac Use and Reproductive Activity in the Lesser Antilles Endemic Gecko Gonatodes antillensis (Gekkota: Sphaerodactylidae). Bulletin of the Peabody Museum of Natural History, 58(1), pp.17-29. Click here for pdf. Losos DN, Weaver JB, Fies TW, Herrel A, Fabre AC, Losos JB. The Curious Case of the Left-Sided Dewlap: Directional Asymmetry In the Curaçao Anole, Anolis lineatus. Breviora. 2017 May 26;553(1):1-7. Click here for pdf. Mueller B (2017) First documentation of encrusting specimen of Cliona delitrix on Curaçao: a cause for concern? Marine Biodiversity Records 10: 10. Click here for pdf. Mueller B, Meesters EH, van Duyl FC (2017). DOC concentrations across a depth-dependent light gradient on a Caribbean coral reef. PeerJ, 5, e3456. Click here for pdf. Nagelkerken I, Huebert KB, Serafy JE, Grol MG, Dorenbosch M, Bradshaw CJ. Highly localized replenishment of coral reef fish populations near nursery habitats. Marine Ecology Progress Series. 2017 Mar 24;568:137-50. Click here for pdf. Naman CB, Leber CA, Gerwick WH (2017) Modern natural products drug discovery and its relevance to biodiversity conservation. Microbial Resources: 103-120. Click here for pdf. Potkamp G, Vermeij MJ, Hoeksema BW. Genetic and morphological variation in corallivorous snails (Coralliophila spp.) living on different host corals at Curaçao, southern Caribbean. Contributions to Zoology. 2017;86(2):111-44. Click here for pdf. Rippe JP, Matz MV, Green EA, Medina M, Khawaja NZ, Pongwarin T, Pinzón C, Jorge H, Castillo KD, Davies SW (2017) Population structure and connectivity of the mountainous star coral, Orbicella faveolata, throughout the wider Caribbean region. Ecology and Evolution. 2017 Oct. Click here for pdf. Salcedo-Sanz S, Muñoz-Bulnes J, Vermeij MJA (2017) New coral reefs-based approaches for the model type selection problem: a novel method to predict a nation’s future energy demand. International Journal of Bio-inspired Computation 10(3):145-58. Sumrall JB, Larson EB, Mylroie JE (2017) Very high magnesium calcite formation and microbial communities found in porosity of the Seroe Domi Formation of Curacao, Netherland Antilles. Carbonates and Evaporites: 1-11. Titus BM, Vondriska C, Daly M (2017). Comparative behavioural observations demonstrate the ‘cleaner’shrimp Periclimenes yucatanicus engages in true symbiotic cleaning interactions. Open Science, 4(4), 170078. Click here for pdf. Ward-Paige CA, Worm B (2017) Global evaluation of shark sanctuaries, Global Environmental Change 47: 174-189. Click here for pdf. Henkens RJHG, Debrot AO, de Freitas JA (2017) Tropisch nevel- en regenwoud. Pp. 24-31. In: Debrot AO, Henkens RJGH, Verweij PJFM (eds. ): Staat van de natuur van Caribisch Nederland 2017. Wageningen Marine Research (University & Research Centre) Report C086/17: 214 pp. Henkens RJHG, Debrot AO, de Freitas JA (2017) Droge tropische bossen Pp. 32-38. In: Debrot AO, Henkens RJGH, Verweij PJFM (eds. ): Staat van de natuur van Caribisch Nederland 2017. Wageningen Marine Research (University & Research Centre) Report C086/17: 214 pp. Debrot AO, de Freitas JA, Henkens RJHG (2017) Plantensoorten (Bonaire) Pp. 99-104. In: Debrot AO, Henkens RJGH, Verweij PJFM (eds. ): Staat van de natuur van Caribisch Nederland 2017. Wageningen Marine Research (University & Research Centre) Report C086/17: 214 pp. Condor-Lujan B, Klautau M. Nicola gen. nov. with redescription of Nicola tetela (Borojevic & Peixinho, 1976)(Porifera: Calcarea: Calcinea: Clathrinida). Zootaxa. 2016 Apr 13;4103(3):230-8. Frade PR, Roll K, Bergauer K, Herndl GJ (2016) Archaeal and bacterial communities associated with the surface mucus of caribbean corals differ in their degree of host specificity and community turnover over reefs. PloS one, 11(1). Click here for pdf. Hoeksema BW, Bongaerts P, Baldwin CC (2016) High coral cover at lower mesophotic depths: a dense Agaricia community at the leeward side of Curaçao, Dutch Caribbean. Marine Biodiversity. Click here for pdf. Hoeksema BW, Hove HA (2016) The invasive sun coral Tubastraea coccinea hosting a native Christmas tree worm at Curaçao, Dutch Caribbean. Marine Biodiversity, 1-7. Click for pdf. Knowles B, Silveira CB, Bailey BA, Barott K, Brainard R, Cantu A, Cobián- Güemes AG, Coutinho FH, Dinsdale E, Felts B, Furby KA, George EE, Green KT, Gregoracci G, Haas AF, Haggerty JM, Hester ER, Hisakawa NG, Kelly LW, Lim YW, Little M, Luque A, McDole-Somera T, McNair K, Quistad SD, Robinett NL, Sala E, Salamon P, Sanchez SE, Sandin S, Silva GGZ, Smith J, Sullivan C, Thompson C, Vermeij MJA, Youle M, Young C, Zgliczynski B, Edwards RA, Nulton J, Thompson F, Rohwer F (2016) Piggyback-the-Winner: Lytic to Temperate Switching of Viral Communities. Nature 531 (7595): 466-470. Click for pdf. Mueller B, den Haan J, Visser PM, Vermeij MJA. van Duyl FC (2016) Effect of light and nutrient availability on the release of dissolved organic carbon (DOC) by Caribbean turf algae. Scientific Reports, 6. Click here for pdf. Quinn RA, Vermeij MJA, Hartmann AC, d’Auriac IG, Benler S, Haas A, Quistad SD, Lim YW, Little M, Zgliczynski B, Sandin SA, Smith JE, Dorrestein P, Rohwer F (2016) Metabolomics of reef benthic interactions reveals a bioactive lipid involved in coral defence. Proc. R. Soc. B. 283. No. 1829. Click here for pdf. Swierts T, Vermeij MJA (2016). Competitive interactions between corals and turf algae depend on coral colony form. PeerJ 4: e1984. Click here for pdf. van Tienderen KM, van der Meij SET. (2016) Occurrence patterns of coral-dwelling gall crabs (Cryptochiridae) over depth intervals in the Caribbean. PeerJ 4:e1794. Click here for pdf. Tijdens, M.E. 2016. Phenological patterns of indigenous tree species in three different geological settings on Curaçao. Carmabi & Wageningen UR Report. 76 pp. Bernal MA, Floeter SR, Gaither MR, Longo GO, Morais R, Ferreira CEL, Vermeij MJA, Rocha LA (in press) High prevalence of dermal parasites among coral reef fishes of Curacao. Marine Biodiversity. Bongaerts P, Frade PR, Hay KB, Englebert N, Latijnhouwers KRW, Bak RPM, Vermeij MJA, Hoegh-Guldberg, O (2015) Deep down on a Caribbean reef: lower mesophotic depths harbor a specialized coral-endosymbiont community. Scientific reports 5 (2015). Click here for pdf. Iglesias TL, Dornburg A, Brandley MC, Alfaro ME, Warren DL (2015) Life in the unthinking depths: energetic constraints on encephalization in marine fishes. Journal of evolutionary biology (online first). Click here for abstract. Marhaver KL, Vermeij MJA, Medina MM (2015) Reproductive natural history and successful juvenile propagation of the threatened Caribbean Pillar Coral Dendrogyra cylindrus. BMC ecology, 15(1): 9. Click here for pdf. Atherton S, Hochberg R (2014) The evolution of the reproductive system of Urodasys (Gastrotricha: Macrodasyida). Invertebrate Biology. online first. Click here for Abstract. Debrot AO, Vinke E, van der Wende G, Hylkema A, Reed JR (2014) Deepwater marine litter densities and composition from submersible video-transects around the ABC-islands, Dutch Caribbean. Mar. Pollut. Bull. Online first. Click here for Abstract. Debrot AO, de Leon R, Esteban N, Meesters HGW Meesters (2013*) Observations on the whale shark (Rhincodon typus) in the Dutch Caribbean. Caribbean Journal of Science 47, no. 2-3 : 344-349. Click here for pdf. Debrot AO, Esteban N, Bervoets T, Hoetjes PC, Scheidat M. (2013*) Marine mammals of the north-eastern Caribbean Windward Dutch Islands: Saba, St Eustatius, St Maarten, and the Saba Bank. Caribbean Journal of Science, 47(2-3), 159-172. Click here for pdf. Ertz D, Tehler A, Irestedt M, Frisch A, Thor G, van den Boom P (2014) A large-scale phylogenetic revision of Roccellaceae (Arthoniales) reveals eight new genera. Fungal Diversity, 1-23. Click here for pdf. Fricke, A., Teichberg, M., Nugues, M. M., Beilfuss, S., Bischof, K. (2014). Effects of depth and ultraviolet radiation on coral reef turf algae. Journal of Experimental Marine Biology and Ecology, 461, 73-84. Click here for abstract. Garg N, Kapono C, Lim YW, Koyama N, Conrad D, Rohwer F, Vermeij MJA, Dorrestein PC (2014) Mass spectral similarity for untargeted metabolomics data analysis of complex mixtures. International Journal of Mass Spectrometry. Click here for abstract. Grol MG, Rypel AL, Nagelkerken I (2014). Growth potential and predation risk drive ontogenetic shifts among nursery habitats in a coral reef fish. Marine Ecology Progress Series, 502, 229-244. Click here for pdf. Quéré G, Steneck RS, NuguesMM (2014) Spatiotemporal and species-specific patterns of diseases affecting crustose coralline algae in Curaçao. Coral Reefs, 1-15. Click here for Abstract. Lim YW, Cuevas D, Silva GGZ, Aguinaldo K, Dinsdale E, Haas A, Hatay M, Sanchez S, Wegley L, Dutilh B, Harkins T, Lee C, Warren T, Sandin SA, Smith JE, Zgliczynski B, Vermeij MJA, Rohwer F, Edwards RA. (2014) Sequencing At Sea: Challenges and Experiences in Ion Torrent PGM Sequencing during the 2013 Southern Line Islands Research Expedition. PeerJ. Click here for pdf. Mueller B, van der Zande RM, van Leent PJM, Meesters EH, Vermeij MJA, van Duyl FC (2014) Effect of light availability on dissolved organic carbon (DOC) release by Caribbean reef algae and corals. Bull Mar Sci. Bulletin of Marine Science. Click here for abstract. Mueller B, de Goeij JM., Vermeij MJA, Mulders Y, van der Ent E, Ribes M, van Duyl FC (2014) Natural diet of coral-excavating sponges consists mainly of dissolved organic carbon (DOC). PloS one, 9(2), e90152. Click here for pdf. Prada C, McIlroy SE, Beltrán DM, Valint DJ, Ford SA., Hellberg ME, Coffroth MA (2014). Cryptic diversity hides host and habitat specialization In a gorgonian‐algal symbiosis. Molecular ecology. Click here for abstract. Taylor MS, Stahl-Timmins W, Redshaw CH, Osborne NJ (2014). Toxic alkaloids in Lyngbya majuscula and related tropical marine cyanobacteria. Harmful Algae, 31, 1-8. Click here for abstract. Van der Meij SET (2014) Host species, range extensions, and an observation of the mating system of Atlantic shallow-water gall crabs (Decapoda: Cryptochiridae). Bull Mar Sci. 90(4):000–000 (online first) click here for pdf. Willette, D.A., J. Chalifour, A.O Debrot, W.J. Miller, H. Oxenford, S.C.C. Steiner, F. Védie (in press) Continued expansion of the globally invasive marine angiosperm Halophila stipulacea in the Eastern Caribbean. Aquatic Botany. Click here for abstract. Wolf A, Nugues MM, Wild C (2014) Distribution, food preference, and trophic position of the corallivorous fireworm Hermodice carunculata in a Caribbean coral reef. Coral Reefs: 1-11. Caribbean. Imares report C020/14 PRI report number 550. Click here for a pdf. Ahrens JB, Borda E, Barroso R, Paiva PC, Campell AM, Wolf A, Nugues MM, Rouse GW, Schulze A (2013). The curious case of Hermodice carunculata (Annelida: Amphinomidae): evidence for genetic homogeneity throughout the Atlantic Ocean and adjacent basins. Mol. Ecol. 22: 2280–2291. Click here for pdf. Biggs BC (2013) Harnessing natural recovery processes to improve restoration outcomes: An experimental assessment of sponge-mediated coral reef restoration. PLoS ONE 8(6): e64945. Click here for pdf. de Freitas JA, Rojer AC (2013) New plant records for Bonaire and the Dutch Caribbean islands. Caribbean Journal of Science 47: 114-117. Engene N, Gunasekera SP, Gerwick WH, Paul VJ (2013) Phylogenetic inferences reveal a large extent of novel biodiversity in chemically rich tropical marine cyanobacteria. Appl. Environ. Microbiol. 79(6): 1882. Gregg AK, Hatay M, Haas AF, Robinett N, Barott K, Vermeij MJA, Marhaver K, Thompson F, Meirelles P, Rohwer F (2013) Biological oxygen demand optode analysis of coral reef-associated microbial communities exposed to algal exudates PeerJ 1:e107. Click here for the pdf. Hartmann AC, Marhaver KL, Chamberland VF, Sandin SA, Vermeij MJA (in press) Large birth size does not reduce the negative latent effects of harsh environmental conditions across early life stages. Ecology. Click here for the Abstract. Huijbers, C., I. Nagelkerken, A. Debrot and E. Jongejans (2013) Movement across ecosystem boundaries: source-sink population dynamics of a coral reef fish. Ecology 94: 1859-1870. Marhaver, K.L., Vermeij, M.J.A., Rohwer, F. Sandin, S.A. (2013) Janzen-Connell effects in a broadcast-spawning Caribbean coral: Distance dependent survival of larvae and settlers. Ecology 94:146-160. Click here for the AbstractSmith JE, Price NN, Nelson CE, Haas AF (2013) Coupled changes in oxygen concentration and pH caused by metabolism of benthic coral reef organisms.Mar. Biol.DOI 10.1007/s00227-013-2239-z. Click here for Abstract. Stephen CL, Reynoso VH, Collett WS, Hasbun CR, Breinholt JW (2013) Geographical structure and cryptic lineages within common green iguanas, Iguana iguana.Journal of Biogeography 40: 50–62. Vermeij MJA, Frade PR, Bak RPM (2013) Zooxanthellae presence acts as a settlement cue for aposymbiotic planulae of the Caribbean coral Montastraea faveolata. Caribbean Journal of Science 47: 31-36. Wolf AT, Nugues MM (2013) Synergistic effects of algal overgrowth and corallivory on Caribbean reef-building corals. Ecology, 94(8), 1667-1674. Dornburg A, Moore JA, Webster R, Warren DL, Brandley MC, Iglesias TL, Wainwright PC, Neara TJ (2012) Molecular phylogenetics of squirrelfishes and soldierfishes (Teleostei: Beryciformes: Holocentridae): Reconciling more than 100 years of taxonomic confusion. Molecular Phylogenetics and Evolution. Available online 2 August 2012. Click here for Abstract. De León R, Vane K, Vermeij MJA, Bertuol P, Simal F (2012) Overfishing Works: A comparison of the effectiveness of lionfish control efforts between Bonaire and Curaçao. Proceedings of the 64th Gulf and Caribbean Fisheries Institute,Puerto Morelos, Mexico. Kambesis, P. N., Mylroie, J. R., Mylroie, J. E., Larson, E. B., Owen-Nagel, A. M., Sumrall, J. B., and Lace, M. J., 2012 (abstract), Influence of karst denudation on the northwest coast of Curacao. 16th Symposium on the geology of the Bahamas and other carbonate regions program, Gerace Research Centre, p.34. Muhs DR, Pandolfi JM, Simmons KR, Schumann RR (2012) Sea-level history of past interglacial periods from uranium-series dating of corals, Curacao, Leeward Antilles islands. Quaternary Research 78: 157-169. Click here for a pdf. ONE 7(6): e36906. Click here for pdf. Witte RH , Van Buurt G, Debrot AO, Bermudez-Villapola LA, Simal F (2012)First record of Fraser’s dolphin Lagenodelphis hosei for the Dutch Caribbean. Marine Biodiversity 5: 46-50. Petit S, Waudby HP, Walker AT, Zanker R, Rau G (2012) A non-mutilating method for marking small wild mammals and reptiles.Australian Journal of Zoology 60(1) 64-71. Click here for Abstract. Weigt LA, Baldwin CC, Driskell A, Smith DG, Ormos A, et al. (2012) Using DNA Barcoding to Assess Caribbean Reef Fish Biodiversity: Expanding Taxonomic and Geographic Coverage. PLoS ONE 7(7): e41059. Click here for a pdf. Debrot,A.O., van Buurt, G., and M.J.A. Vermeij (2011) Preliminary overview of exotic and invasive marine species in the Dutch Caribbean. IMARES Report number C188/11. 29pp. Click here for pdf. Vermeij MJA (2012) The current state of Curacao’s reefs. Carmabi report 38pp. Click here for pdf. van Rooijen AK, Roothans BP (2012) Inventarisatie van de invasieve lionfish (Pterois spec.) en enkele gevolgen voor de riffen van Curaҫao.Report Hogeschool Zeeland/ Carmabi. Kutter P (2012) Changes in primary production rates (13C) of benthic organisms under different nutrient regimes on a coral reef. Report University of Amsterdam. Dornburg A, Warren DL, Iglesias T, Brandley MC (2011) Natural History Observations of the Ichthyological and Herpetological Fauna on the Island of Curaçao (Netherlands Antilles). Bulletin of the Peabody Museum of Natural History 52(1):181-186. Fricke A, Teichberg M, Beilfuss S, Bischof K (2011) Succession patterns in algal turf vegetation on a Caribbean coral reef. Botanica Marina 54: 111-126. Grol MGG, Nagelkerken I, Rypel AL, Layman CA (2011) Simple ecological trade-offs give rise to emergent cross-ecosystem distributions of a coral reef fish. Oecologia 165:79–88. Hultgren KM, MacDonald K, Emmett D (2011) Sponge-dwelling snapping shrimps (Alpheidae: Synalpheus) of Barbados, West Indies, with a description of a new eusocial species. Zootaxa 2834:1-16. Vermeij, M.J.A., Frade, P.R., Bak, R.P.M. (in press) Zooxanthellae presence acts as a settlement cue for aposymbiotic planulae of the Caribbean coral Montastraea faveolata. Caribbean Journal of Science. Kelly LW, Barott KL, Dinsdale L, Friedlander AM, Nosrat B, Obura D, Sala E, Sandin SA, Smith JE, Vermeij MJA, Williams GJ, Willner D, Rohwer F (in press) Iron induced phase-shifts on coral reefs. ISME Journal. Petit, S. (in press). Effects of mixed-species pollen load on fruits, seeds, and seedlings of two sympatric columnar cactus species. Ecological Research. Vermeij, M.J.A., M.L. Dailer and C.M. Smith (2011) Crustose coralline algae can suppress macroalgal growth and recruitment on Hawaiian coral reefs. Marine Eology Progress Series 422: 1-7. (Featured Article). Open acces, to see the entire article: click here. Rassweiler A, Rassweiler T (2011) Does rapid scavenging hide non-predation mortality in coral-reef communities? Marine and Freshwater Research 62: 510-515. Reygel PC. Willems WR, Artois TJ (2011) Koinocystididae and Gnathorhynchidae (Platyhelminthes: Rhabdocoela: Kalyptorhynchia) from the Galapagos, with the description of three new species. Zootaxa 3096: 27-40.
van Duyl FC, Moodley L, Nieuwland G, van Ijzerloo L, van Soest RWM, Houtekamer M, Meesters EH, Middelburg JJ (2011) Coral cavity sponges depend on reef-derived food resources:stable isotope and fatty acid constraints. Mar. Biol. 158:1653–1666. Petit, S. (in press). Bataille pour sauver les cactus de Curaçao. Terra Seca. Debrot,A.O., van Buurt, G., and M.J.A. Vermeij (2011) Preliminary overview of exotic and invasive marine species in the Dutch Caribbean. IMARES Report number C188/11. 29pp. Grimsditch, G. Arnold, S., de Bey, H., Brown, J. Engel, S., de Leon, R., Vermeij, M. (2011) Coral Reef Resilience Assessment of the Bonaire National Marine Park, Netherlands Antilles. IUCN. For a PDF of this document, click here. This is a large (11Mb) document. Bongaerts P, Ridgway T, Sampayo EM, Hoegh-Guldberg (2010) Assessing the ‘deep reef refugia’ hypothesis: focus on Caribbean reefs. Coral Reefs, DOI 10.1007/s00338-009-0581-x. To download this paper, click here. Filatov MV, Kaandorp JA, Postma M, van Liere R, Kruszyński KJ , Vermeij MJA, Streekstra GJ, Bak RPM (2010) A comparison between coral colonies of the genus Madracis and simulated forms. Proc Roy Soc B. doi: 10.1098/rspb.2010.0957. To download this paper, click here. Frade PR, Reyes-Nivia MC, Faria J, et al (2010) Semi-permeable species boundaries in the coral genus Madracis: Introgression in a brooding coral system. Molecular Phylogenetics and Evolution 57: 1072-1090. To read the abstract, click here. Gyri C, Felis T, Koelling M, Scheffers SR (in press). Geochemistry and skeletal structure of Diploria strigosa, implications for coral-based climate reconstruction. Palaeogeography, Palaeoclimatology, Palaeoecology. Giry C, Felis T, Scheffers SR, Scholtz D. (in press) Assessing the potential of Southern Caribbean corals for paleotemperature reconstruction. Proceedings of the PAGES 1st YSM, Retrospective views on our planet’s future, IOP Conference Series: Earth and Environmental Science. Nagelkerken I, De Schryver AM, Verweij MC, Dahdouh-Guebas F, van der Velde G, Koedam N (2010) Differences in root architecture influence attraction of fishes to mangroves: a field experiment mimicking roots of different length, orientation, and complexity. Journal of Experimental Marine Biology and Ecology 396: 27-34. Scheffers SR, van Soest RWM, Nieuwland G, Bak RPM (in press). Coral reef framework cavities: Is functional similarity reflected in composition of the cryptic macrofaunal community? Atoll Research Bulletin. Sommer B, Harrison PL, Scheffers SR (2010). Aggressive colonial ascidian impacting upon coral reefs at Bonaire, Netherlands Antilles. Coral Reefs, 29 (1): 245. Vermeij, M.J.A., I. van Moorselaar, S. Engelhard, C. Hörnlein, S. M. Vonk and P. M. Visser (in press) The effects of nutrient enrichment and herbivore abundance on the ability of turf algae to overgrow coral in the Caribbean. PLoS ONE 5(12): e14312. download paper. Vermeij, M. J.A. (2010) First observation of a nocturnal nudibranch feeding on Caribbean corals. Coral Reefs 29: 1047. without abstract. Vermeij, M.J.A., Barott, K.L., Johnson, A.E. and K.L. Marhaver (2010) Release of eggs from tentacles in a Caribbean coral. Coral Reefs 29: 411. without abstract. Vermeij, M.J.A., A.O. Debrot, N. van der Hal, J. Bakker and R.P.M. Bak (2010) Increased recruitment rates indicate recovering populations of the sea urchin Diadema antillarum on Curaçao. Bulletin of Marine Science 86: 719-725. To read the abstract, click here. Vermeij, M.J.A., M.L. Dailer, S.M. Walsh, M.K. Donovan and C.M. Smith (2010) The effects of trophic interactions and spatial competition on algal community composition on Hawaiian coral reefs. Marine Ecology 31: 291-299. download paper. Bak RPM, Nieuwland G, Meesters EH. 2009. Coral growth rates revisited after 31 years: what is causing lower extension rates in Acropora palmata? Bulletin of Marine Science 84: 287-294. Abstract . Brown A, Collier N, Debrot A, Del Nevo A, Wells J. 2009. Important bird areas. Americas: Dutch Caribbean. In: Devenish, C. (ed.). Important Bird Areas in the Americas. Cambridge, UK: BirdLife International. Debrot AO, Boogerd C, van den Broeck D. 2009. Chapter 24. The Netherlands Antilles III: Curaçao and Bonaire. Pp. 207-215. In: Bradley PE & Norton RL (eds.) Breeding seabirds of the Caribbean. Univ. Press, Florida. De Goeij JM, De Kluijver A, Van Duyl FC, Vacelet J, Wijffels RH, De Goeij AFPM, Cleutjens JPM, Schutte B. 2009. Cell kinetics of the marine sponge Halisarca caerulea reveal rapid cell turnover and shedding. Journal of Experimental Biology 212: 3892-3900. Abstract. Dorenbosch M, Grol MGG, de Groene A, et al. 2009. Piscivore assemblages and predation pressure affect relative safety of some back-reef habitats for juvenile fish in a Caribbean bay. Marine Ecology Progress 379: 181-196. Open access. Engel M, Bolten A, Brhückner H, Daut G, Kelletat D, Schäbitz F, Scheffers A, Scheffers SR, Vött,A, Wille M, Willershäuser T. 2009. Reading the chapter of extreme wave events in nearshore geo-bio-archives of Bonaire (Netherlands Antilles) – initial results from Lagun and Boka Bartol. Marburger Geographische Schriften 145: 157-178. Abstract. Frade PR. 2009. Corals through the light: Phylogenetics, functional diversity and adaptive strategies of coral-symbiont associations over a large depth range. PhD Thesis, University of Amsterdam. Paddack MJ, Reynolds JD, Aguilar C, et al. 2009. Recent region-wide declines in Caribbean reef fish abundance. Current Biology 19: 590-595. Abstract. Petit S, Da Costa Gomez M. 2009. Mysterious malady of an ecologically important cactus species. Cactus and Succulent Journal 81: 64-65. Petit S. 2009. Combatting cactus clearance on Curaçao. Cactus and Succulent Journal 81: 16-19. Prins TG, Reuter JH, Debrot AO, Wattel J, Nijman V. 2009. Checklist of the birds of Aruba, Curacao and Bonaire, South Caribbean. Ardea 97: 137-262. Abstract. Ritson-Williams R, Arnold S, Fogarty N, Steneck R, Vermeij MJA, Paul V. 2009. New perspectives on ecological mechanisms affecting coral recruitment on reefs. Smithsonian Contributions to the Marine Sciences 38:437-457. Open access, but large document (70Mb). Vermeij MJA, Dailer ML, Walsh SM, Donovan MK, Smith CM. 2009. The effects of trophic interactions and spatial competition on algal community composition on Hawaiian coral reefs. Marine Ecology. doi:10.1111/j.1439-0485.2009.00343.x. Abstract. Vermeij MJA. 2009. Floating corallites: a new ecophenotype in scleractinian corals. Coral Reefs 28: 987-987. Abstract. Vermeij MJA, Smith TB, Dailer ML, Smith CM. 2009. Release from native herbivores facilitates the persistence of invasive marine algae: a biogeographical comparison of the relative contribution of nutrients and herbivory to invasion success. Biological Invasions 11: 1463-1474. Abstract . Vermeij MJA, Dailer ML, Smith CM. 2009. Nutrient enrichment promotes survival and dispersal of drifting fragments in an invasive tropical macroalga. Coral Reefs 28: 429-435. Abstract. Vermeij MJA, Smith JE, Smith CM, Thurber RV, Sandin SA. 2009. Survival and settlement success of coral planulae: independent and synergistic effects of macroalgae and microbes. Oecologia 159: 325-336. Abstract. Debrot AO. 2009. Cultural ties to the land in an arid plantation setting in Curacao. Carmabi report, 57 pp. Fraaije R. 2009. Do mangroves and seagrass beds enhance corqal reef resilience through increased grazing on adjacent reefs? MSc Thesis, Radboud University of Nijmegen, 31pp. Janssen Steenberg H. 2009. Taking on the eco-tourism challenge: possible improvements to the National Park Shete Boka offerings. BSc Thesis, SEF-UNA, 106pp. De Lannoy CCT. 2009. Evaluation of spatial management of nature areas of Curaçao; A quick assessment of the current state of nature areas and recommendations for nature policy. MSc Thesis, Utrecht University, 104pp. Komanns J, van der Vossen M, Klein Haarhuis M, van der Meij S. 2009. Survey onderzoek Parke Nashonal Shete Boka: Onderzoek naar de bereidwilligheid van de bezoekers van het Shete Boka Nationaal Park om een hoger ‘parkeerbedrag’ te betalen. 55 pp. Lundkvist R. 2009. Mollies of the ABC Islands. Aquarium Fish International: 48-49. Margarita I. 2009.Duurzaam toerisme, een brug van ontwikkeling: Een haalbaarheidsonderzoek naar duurzame exploitatie van het natuurgebied Daaibooi. BSc Thesis, SEF-UNA, 85pp. Frade, P.R., De Jongh, F., Vermeulen F., et al. 2008. Variation in symbiont distribution between closely related coral species over large depth ranges. Molecular Ecology 17, 2: 691-703. Frias-Lopez, J. Klaus J. S. and B. W. Fouke. in press. Cytotoxic activity of Blackband disease (BBD) extracts against the symbiotic dinoflagellates Symbiodinium sp. Hulsman, H., Vonk, R., Aliabadian, M., et al. 2008. Effect of introduced species and habitat alteration on the occurrence and distribution of euryhaline fishes in fresh- and brackish-water habitats on Aruba, Bonaire and Curacao (South Caribbean). Contributions to Zoology, 77, 1: 45-51. Sandin, S. A., E. M. Sampayo and M.J.A. Vermeij (2008). Coral reef fish and benthic community structure of Bonaire and Curaçao, Netherlands Antilles. Caribbean Journal of Science 44: 137-144. Sandin, S.A., Vermeij, M.J.A. and A.H. Hurlbert (2008). Biogeography of Caribbean reef fish. Journal of Biogeography 17: 770–777. Scheffers, A., Scheffers, S.R. and D. Kelletat (in press). Documentation of the impact of Hurricane Ivan on the coastline of Bonaire (Netherlands Antilles). Journal of Coastal Research. Anker, A. 2007. New species and records of Alpheid shrimps, genera Salmoneus Holthuis and Parabetaeus Coutiere,from the tropical western Atlantic (Decapoda, Caridea). Zootaxa, 1653: 21-39. Booth, A., M. Savarese, R.W. Portell, D. S. Jones and I. R. Quitmyer. 2007. Paleoenvironmental and Sclerochronologic reconstruction of Large Oyster-Bearing Pliocene reefsfrom Curaçao. First International Sclerochronology Conference, University of Florida, July 17-21, 2007: 8. Dean, H.K., I. Hernandez-Avila and E.B. Cutler. 2007. Sipunculans of the Caribbean coast of Venezuela and Curaçao. Zootaxa, 1431: 45-54. Dorenbosch, M., M.G.G. Grol, I. Nagelkerken, B.R. Lugendo and G.van der Velde. 2007. Different fish composition in seagrass beds adjacent to extensive mangrove areas as opposed to coral reefs. Bulletin of MarineScience, 80, 3: 919. Dorenbosch, M., W.C.E.P. Verberk, I. Nagelkerken and G. van der Velde. 2007. 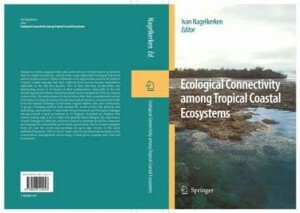 Influence of habitat configuration on connectivity between fish assemblages of Caribbean seagrass beds, mangroves and coral reefs. Marine Ecology Progress Series, 334: 103-116. Faber, M.J. 2007. Studies on West Indian marine molluscs 58 : Marine gastropods from the ABC-islands and other localities 14: The family Terebridae with the description of a new species from Aruba Gastopoda: Terebridae). Miscellanea Malacologica, 2, 3: 49-55. Faber, M.J. 2007. Studies on West Indian marine molluscs 59 : Marine gastropodsfrom the ABC-islands and other localities 15: Pterynotus xenos Harasewych, 1982 (Gastropoda: Muricidae), range extension to Curaçao and a note on its variability. Miscellanea Malacologica, 2, 3: 56. Faber, M.J. 2007. Studies on West Indian marine molluscs 54 : Marine gastropodsfrom the ABC-islands and other localities: A note on “Cyclostremiscus” crassilabris Aguayo & Borro, 1946 and the status of Canimarina Aguayo & Borrro, 1946 (Gastopoda: Vitrinellidae). Miscellanea Malacologica, 2, 4: 60. Faber, M.J. 2007. Studies on West Indian marine molluscs 60: Marine gastropodsfrom the ABC-islands and other localities: A note on the presumed holotype of Buccinum polygonatum Lamarck, 1822 (Gastropoda: Nassariidae). Miscellanea Malacologica, 2, 4: 61-62. Faber, M.J. 2007. Studies on West Indian marine molluscs 61: Marine gastropodsfrom the ABC-islands and other localities: The genus Engina Gray, 1839 (Gastropoda: Buccinidae). Miscellanea Malacologica, 2, 4: 73-77. Faber, M.J. 2007. Studies on West Indian marine molluscs 62: Marine gastropodsfrom the ABC-islands and other localities 19: The genera Cerithiella and Retilaskeya (Gastropoda: Cerithiopsidae) with the description of a new species of Retilaskeya Marshall, 1978. Miscellanea Malacologica, 2, 4: 79-83. Faber, M.J. 2007. Studies of West Indian marine molluscs 63: Marine gastropodsfrom the ABC-islands and other localities 20: Solariorbis semipunctatus Moore, 1965 (Gastropoda: Vitrinellidae), first records for Florida, U.S.A. and Curaçao. Miscellanea Malacologica, 2, 4: 84. Faber, M.J. 2007. Studies of West Indian marine molluscs 64: Marine gastropodsfrom the ABC-islands and other localities 21: Cylindrobullidae and Volvatellidae (Gastropoda: Sacoglossa). Miscellanea Malacologica, 2, 4: 85-86. Flikweert, M., T.G. Prins, J.A. de Freitas and V. Nijman. 2007. Spatial variation in the diet of the Barn Owl Tyto alba in the Caribbean. – Ardea, 95, 1: 75-82. Goeij, J.M. de and F. C. van Duyl. 2007. Coral cavities are sinks of dissolved organic carbon (DOC). Limnology and Oceanography, 57, 6: 2608-2617. Gorney, D., A. Escalona, P. Mann, M. B. Magnani, and Bolivar Study Group. 2007. Chronology of Cenozoic tectonic events in western Venezuela and the Leeward Antilles based on integration of offshore seismic reflection data and on-land geology. The American Association of Petroleum Geologists Bulletin, 91, 5: 653-684. . I. do Sul, J. A. and M. F. Costa. 2007. Marine debris review for Latin America and the Wider Caribbean Region: from the 1970s until now, and where do we go from here? Marine Pollution Bulletin, 54, 8: 1087-1104. Klaus, J.S., I. Janse, J.M. Heikoop, R.A. Sanford and B.W. Fouke. 2007. Coral microbial communities, zooxanthellae and mucus along gradients of seawater depth and coastal pollution. Environmental Microbiology, 9, 5 : 1291-1305. Klaus, J.S., A.F. Budd, J.M. Heikoop, et al. 2007. Environmental controls on corallite morphology in the reef coral Montastraea annularis. Bulletin of Marine Science, 80, 1: 233-260. Kruszynski, K.J., J.A. Kaandorp and R. van Liere. 2007. A computational method for quantifying morphological variation in scleractinian corals. Coral Reefs, 26: 831-840. Nagelkerken, I. 2007. Are non-estuarine mangroves connected to coral reefs through fish migration? Bulletin of Marine Science, 80, 3: 595-607. Nagelkerken, I. and C.H. Faunce. 2007. Colonization of artificial mangroves by reef fishes in a marine seascape. Estuarine, Coastal and Shelf Science, 75: 417-422. Nijman, V., M. Aliabadian, A.O. Debrot, J.A. de Freitas, L.G.L. Gomes, T.G. Prins and R. Vonk. 2007. Conservation status of Caribbean coot Fulica caribaea in the Netherlands Antilles and other parts of the Caribbean. Endangered Species Research, 4: 241-246. Nugues, M.M. and R.P.M. Bak. 2007. Dark spot syndrome : recent or old? Coral Reefs, 26, 2: 359. Olson, J.B., D.K. Harmody, A.K. Bej and P.J. McCarthy. 2007. Tsukamurella spongiae sp nov., a novel actinomycete isolatedfrom a deepwater marine sponge. International Journal of Systematic and Evolutionary Microbiology, 57, 7: 1478-1481. Pandolfi, John M. and Jeremy B.C. Jackson. 2007. Broad-scale patterns in Pleistocene coral reef communities from the Caribbean : implications for ecology and management. Ecological Studies, 192: 201-236. Pandolfi, J.M. 2007. A new, extinct Pleistocene reef coral from the Montastrea “annularis” species complex. Journal of Paleontology, 81, 3: 472-482. Pollux, B.J.A. and W.C.E.P. Verberk, M. Dorenbosch, E. Cocheret de la Moriniere, I. Nagelkerken. 2007. Habitat selection during settlement of three Caribbean coral reef fishes : indications for directed settlement to seagrass beds and mangroves. Limnology and Oeanography, 52, 2: 903-907. Vermeij, M.J.A., P.R. Frade, R.I.R. Jacinto, A.O. Debrot and R.P.M. Bak. 2007. Effects of reproductive mode on habitat-related differences in the population structure of eight Caribbean coral species. Marine Ecology Progress Series, 351: 91-102. Vermeij, M. J.A., S. A. Sandin and J. F. Samhouri. 2007. Local habitat distribution determines the relative frequency and interbreeding potential for two Caribbean coral morphospecies. Evolutionary Ecology, 21, 1: 27-47. Verweij, M. C., I.Nagelkerken, S. L.J. Wartenbergh, I.R. Pen and G. Van der Velde. 2007. Mangroves and seagrass beds as diurnal feeding habitats for juvenile Haemulon flavolineatum. Bulletin of Marine Science, 80, 3: 934. Verweij, M. C. and I. Nagelkerken. 2007. Short and long-term movement and site fidelity of juvenile Haemulidae in back-reef habitats of a Caribbean embayment. Hydrobiologia, 592: 257-270. Whiteman, E.A., I.M. Cote and J.D. Reynolds. 2007. Ecological differences between hamlet (Hypoplectrus : Serranidae) colour morphs: between-morph variation in diet. Journal of Fish Biology, 71, 1: 235-244. Zabin, C.J., J. Zardus, F.B. Pitombo, V. Fread and M.G. Hadfield. 2007. A tale of three seas: consistency of natural history traits in a Caribbean-Atlantic barnacle introduced to Hawaii. Biological Invasions, 9, 5 :p. 523-544. Debrot, A.O., van Buurt G., Caballero A. and A.A. Antczak. 2006. A historical review of records of two large in-shore vertebrates in the Dutch Antilles: the West Indian manatee and the American crocodile. Caribbean Journal of Science 42, 2: 272-280. Debrot, A. O. and I. Nagelkerken. 2006. Recovery of the long-spined sea urchin Diadema antillarum in Curaçao (Netherlands Antilles) linked to lagoonal and wave-sheltered shallow rocky habitats. Bulletin of Marine Science 79, 2: 415–424. Duyl FC van, Scheffers SR, Thomas FIM, et al. 2006. The effect of water exchange on bacterioplankton depletion and inorganic nutrient dynamics in coral reef cavities. Coral Reefs 25, 1: 23-36. Nagelkerken I, van der Velde G, Verberk WCEP, et al. 2006. Segregation along multiple resource axes in a tropical seagrass fish community. Marine Ecology Progress Series 308: 79-89. Nugues MM, Szmant AM (2006) Coral settlement onto Halimeda opuntia: a fatal attraction to an ephemeral substrate? Coral Reefs 25: 585–591. Scheffers SR, Scheffers A, Kelletat D, Radtke U, Staben K, Bak RPM (2006) Tsunamis trigger long-lasting phase-shift in a coral reef ecosystem. Annals of Geomorphology 146: 59-79. Vermeij, M.J.A. and S.A. Sandin. Coral species complexes through space and time: an illustration of their dynamics using Madracis in the Caribbean. Proc. 10th Int. Coral Reef Symp, Okinawa, Japan. Vermeij, M.J.A. 2006. Early life-history dynamics of Caribbean coral species on artificial substratum: the importance of competition, growth and variation in life-history strategy. Coral Reefs 25: 59-71. Debrot, A. O., N. Esteban, R. Le Scao, A. Caballero, and P. C. Hoetjes. 2005. New sea turtle nesting records for the Netherlands Antilles provide impetus to conservation action. Caribbean Journal of Science 41: 334-339. Engelen, A. H., P. Aberg, J. L. Olsen, W. T. Stam and A. M. Breeman. 2005. Effects of wave exposure and depth on biomass, density and fertility of the fucoid seaweed Sargassum polyceratium Phaeophyta, Sargassaceae. European Journal of Phycology 40, 2: 149-158. Engelen, A. H., A. M. Breeman, J. L. Olsen, W. T. Stam and P. Alberg. 2005. Life history flexibility allows Sargassum polyceratium to persist in different environments subject to stochastic disturbance events. Coral Reefs 24: 670-680. Freitas, J. A. de, B. S. J. Nijhof, A. C. Rojer and A. O. Debrot. 2005. Landscape ecological vegetation map of the island of Bonaire (Southern Caribbean). Royal Netherlands Academy of Arts and Sciences, Amsterdam. 64 pp. Hawn, A.T., G.B. Martin, S.A. Sandin, and J.A. Hare. 2005. Early juvenile mortality in a cohort of Chromis cyanea: the growth-mortality hypothesis revisited. Bulletin of Marine Science 77: 309-318. Kaandorp, J.A., Sloot, P.M.A., Bak, R.P.M., Maier C. and M.J.A. Vermeij (2005). Modelling three dimensional growth forms in scleractinian corals. Proc. Roy. Acad. Sc. (UK). 272: 127-133. Klaus, J. S., J. Frias-Lopez, G. T. Bonheyo, J. M. Heikoop and B. W. Fouke. 2005. Bacterial communities inhabiting the healthy tissues of two Caribbean reef corals: interspecific and spatial variation. Coral Reefs 24: 129-137. Nagelkerken, I., K. Vermonden, O. C. C. Moraes, A. O. Debrot and W. P. Nagelkerken. 2005. Changes in coral reef communities and associated reef fish species, Cephalopholis cruentatus (Lacepede), after 30 years on Curaçao. (Netherlands Antilles) Hydrobiologia 549:145-154. Nijman, V., T. G. Prins, J. H. Reuter. 2005. Timing and abundance of migrant raptors on Bonaire, Netherlands Antilles. Journal of Raptor Research 39,1: 94-97. Prins, T. G. and V. Nijman. 2005. Historic changes of status of Caribbean coot in the Netherlands Antilles. Oryx 39: 125-126. Prins, T. G., C. S. Roselaar and V. Nijman. 2005. Status and breeding of Caribbean coot in the Netherlands Antilles. Waterbirds 28: 146-149. Sandin, S.A. and S.W. Pacala. 2005. Fish aggregation results in inversely density dependent predation on continuous coral reefs. Ecology 86: 1520- 1530. Scheffers, A., S. Scheffers and D. Kelletat. 2005. Paleo-tsunami relicts on the southern and central Antillean island arc. Journal of Coastal Reearch 21, 2: 263-273. Scheffers, S.R. 2005. Benthic-Pelagic Coupling in Coral Reefs: Interaction between Framework Cavities and Reef Water. PhD.- Thesis. University of Amsterdam (the Netherlands). 160 pages. Scheffers S. R., Bak R. P. M. and F. C. van Duyl. 2005. Why is bacterioplankton growth in coral reef framework cavities enhanced? Marine Ecology Progress Series 299: 89-99. Scheffers S. R., Nieuwland, G., Bak R. P. M. and F. C. van Duyl. 2005. Removal of bacteria and nutrient dynamics within the coral reef framework of Curacao (Netherlands Antilles). Coral Reefs 23(3): 413-422. Vermeij, M.J.A. 2005. A novel growth strategy allows Tubastrea coccinea to escape small-scale adverse conditions and start over again. Coral Reefs 24: 442-442. Van Duyl, F. C., Scheffers S. R., Driscol M., and F. I. M. Thomas. 2005. The effect of water exchange on bacterioplankton depletion and inorganic nutrient dynamics in coral reef cavities. Coral Reefs 25: 23-36. Zabin, C. J. 2005. Community Ecology of the Invasive Intertidal Barnacle Chthamalus proteus in Hawai`i. Ph.D. Dissertation University of Hawaii, Manoa.